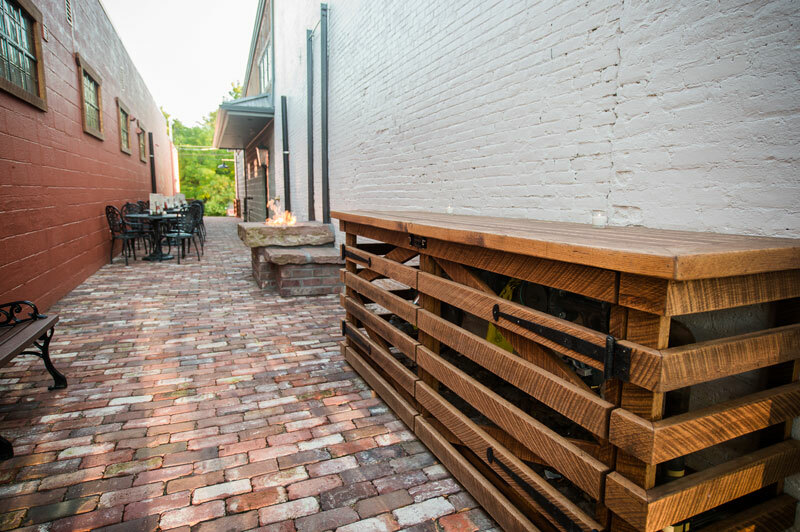 Reclaimed paver seating area, featuring a gas fire pit. 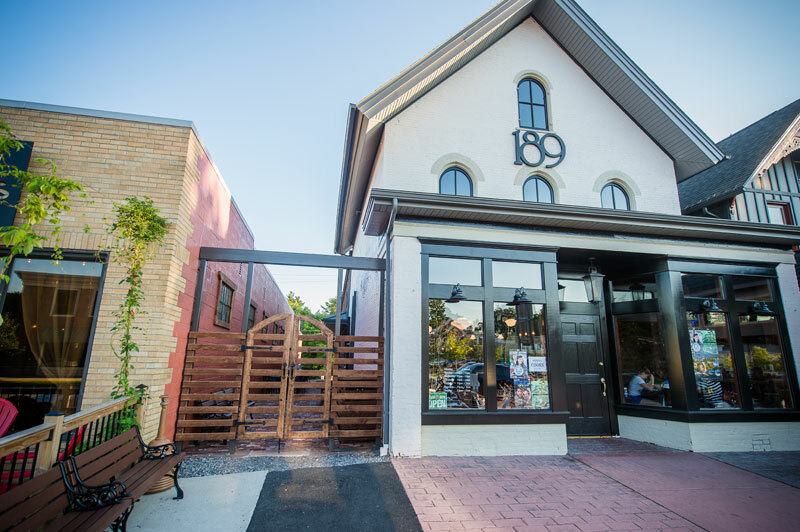 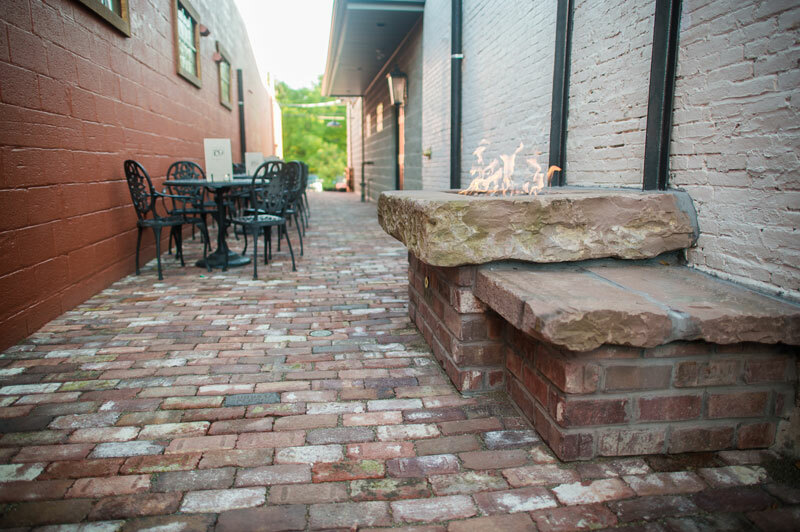 We designed and built this custom restaurant outdoor area in the historic village of east Aurora NY. 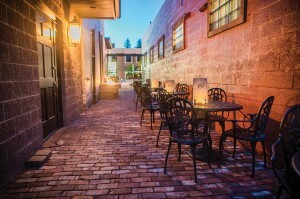 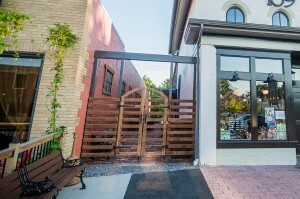 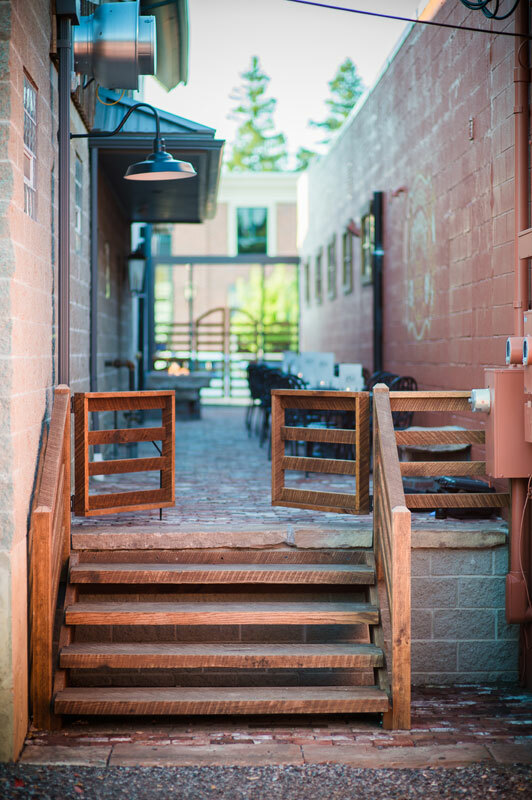 The alleyway spans nearly 90 feet, and can accommodate several tables and seating areas for guests. 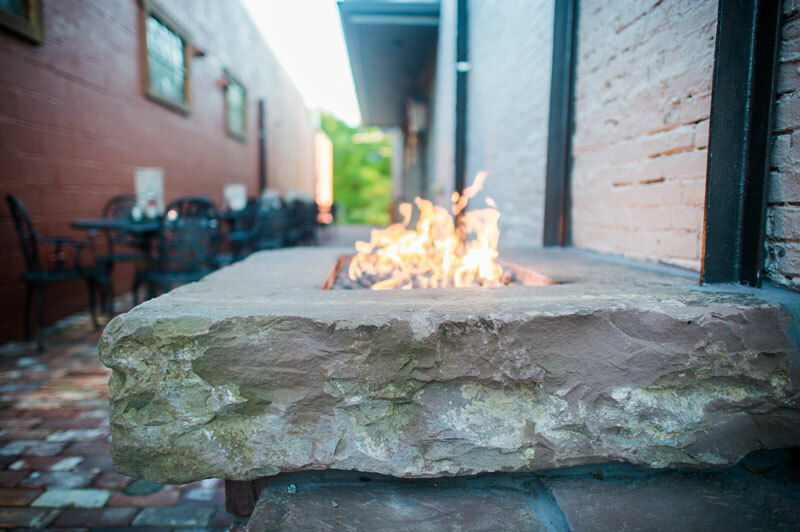 The built-in gas fire pit is a perfect spot for patrons to enjoy their drinks while waiting for their table, or to simply pass the night away. 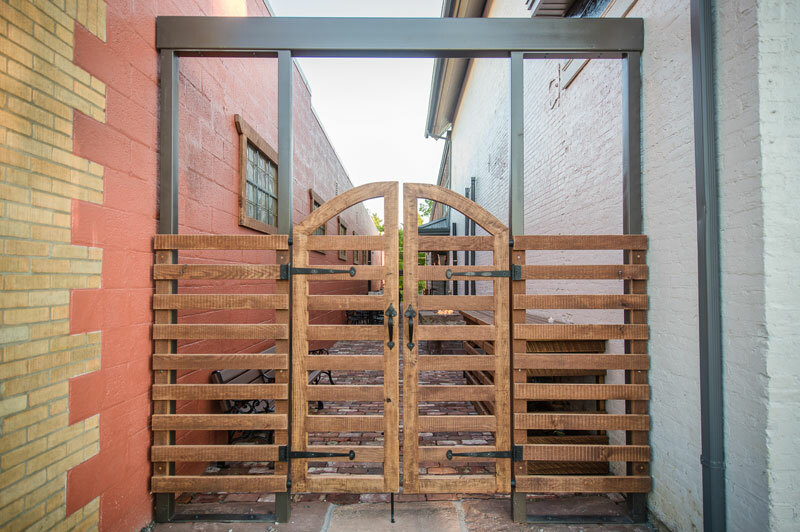 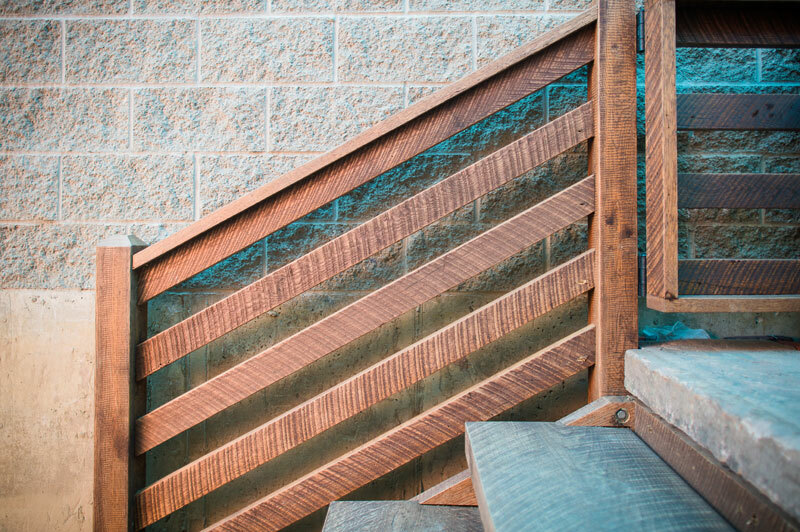 To access the seating area, guests either climb the solid oak stair case in the rear, or pass through the custom wood and iron accented gates from the street. 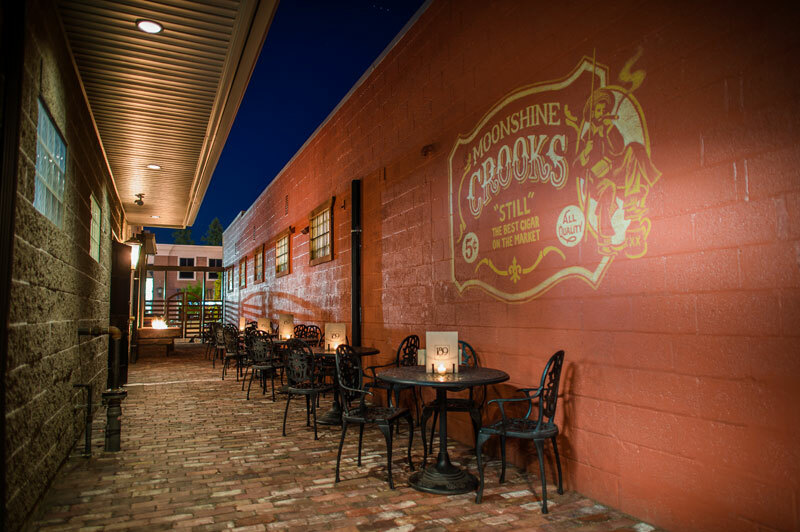 Vintage-inspired hand-painted murals highlight the alley walls.